One of the most frequent health issues that may be met in Yorkies is a problem with their dental health. Due to their small sizes, including the size of the jaw, Yorkies frequently suffer from teeth overcrowding. Seems that the problem is not so important but this condition may easily lead to the development of plague and as a result, you Yorkie will be suffering from periodontal disease. 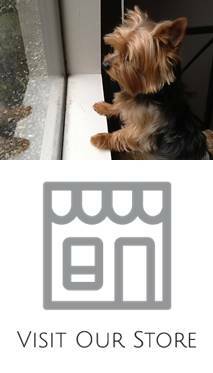 There are certain health conditions that are typical to small or toy breeds such as Teacup Yorkies. A lot of these health conditions are not really life threatening but may cause a lot of difficulties if left untreated for a long time. There are not so many diseases a Yorkie can get sick with but most of these diseases are also possible in dogs of other breeds. A coat is crucially important for the health of any Yorkie and all owners need to pay a lot of attention to it. It is one of the reasons why dogs are rather popular and grooming is an obligatory activity that needs to be performed rather frequently. Grooming is not just needed for a dog show but it also makes your dog feel confident and energetic. Yorkshire terriers suffer from the same oral and dental health problems as humans do. They are predisposed to such dental conditions as gingivitis, bad breath and dental pain. If dog owners do not pay attention to the condition of the dog’s teeth, it is likely possible that your dog will suffer from dental plaque. In other words dental plaque is a substance that covers the dog’s teeth with a film and it is composed of bacteria and the related secretions.